Through the Schlage LiNK™ online web and mobile interfaces, your home is always within reach. It’s the powerful, Z-Wave® compatible Schlage products that put you at ease and simplify your life. 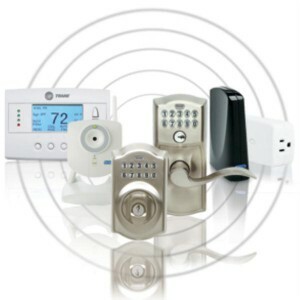 The Schlage Bridge, included in the Schlage LiNK Home Automation Starter Kit is the brain of the System communicating with your Z-Wave compatible devices and allowing the customization of the solution to your lifestyle through schedules and scenes. Explore below the components that drive the Schlage LiNK System and help navigate your life.